Grubs can cause serious damage to your lawn and are a nuisance for many homeowners. Damage usually starts to occur in September and October and by the time you notice the damage it may be too late. Grubs can be especially damaging when we have more rainfall in the summer months or if you irrigate your lawn regularly. New eggs and larvae are able to stay moist and alive when the moisture levels are high. Here are some tips to make sure you prevent grub damage and how to spot and treat if you do have these troublesome insects already in your lawn. Grubs are the larvae of japanese beetles, masked chafers and other beetle insects. They are typically 3/4″-1.5″ long white white/grayish bodies with a brown head. These grubs feed underground eating through roots and organic matter. The larvae eggs are laid after the mating season in July and August. This is why you typically do not see the damage until late fall when the larvae have had time to eat the roots of your established lawn. 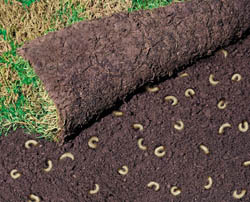 Prevention is key to keep grubs from terrorizing your lawn. Merit based insecticides have proved to work well, lasting longer in the soil for more control. July is the best time to apply these preventative insecticides that will kill off new feeding larvae. Key signs for grub infestations may be skunks or raccoons digging up the lawn and rolling back grass to find larvae. If you do start to see this damage you may want to apply a fast acting insecticide such as dylox. This product does need watered in thoroughly to work well. Keep an eye on your lawn and look for damage. 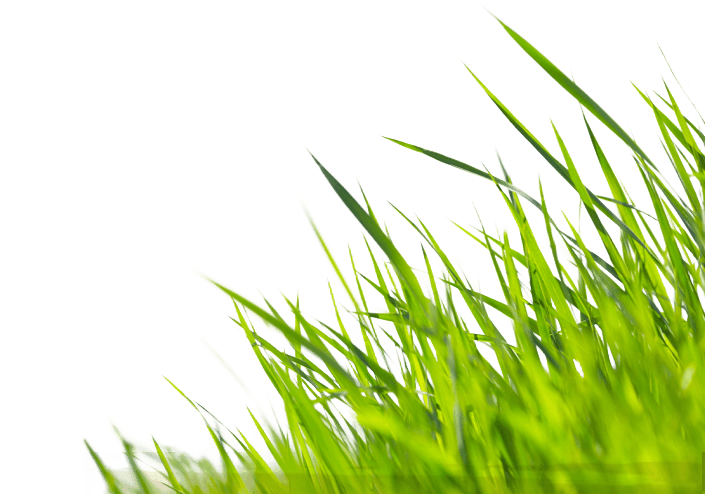 You can cut out 1′ x 1′ sections of your lawn to check for grubs. Finding a few is normal in most lawns. 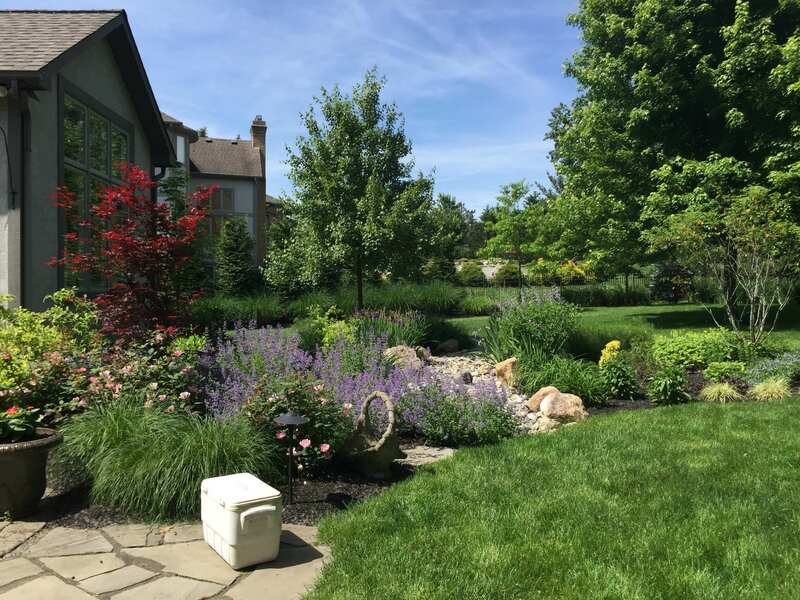 If you start to see more than 10 per section you will want to make sure to treat your lawn. Tell us what you're thinking... and oh, if you want a pic to show with your comment, go get a gravatar!